Yesterday was Cara Delevingne 24th birthday. She is an admirable person, unique and reckless. She is not afraid to be herself and I guess that is what makes her someone to remember. On this days Cara is promoting her latest film "Suicid Squad" together with Margot Robbie, Jared Leto, Will Smith and Jai Courtney. I am so looking forward to watch it!! So, if you still haven't heard about this movie I let you here the trailer. 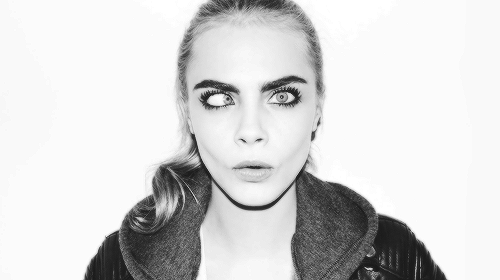 And like Cara says: "Embrace your weirdness"